There are so many choices when dining in Tokyo, so why do I keep coming back to something so simple like Yakitori? 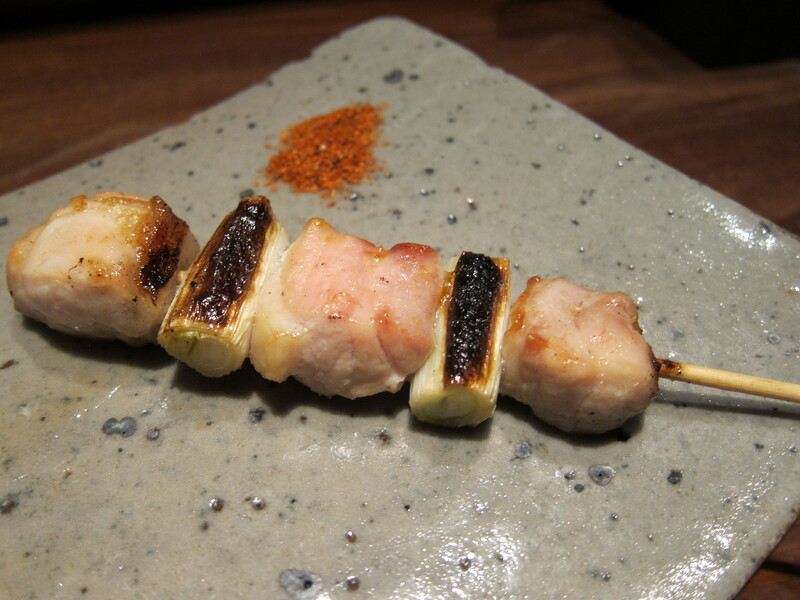 Yakitori is ostensibly the most basic of foods – meats and vegetables, grilled on a stick. Many cultures have something similar like Thai moo ping (grilled pork on a stick) or Turkish kofte (grilled lamb kebabs) but I would argue that the Japanese version of a meal on a stick is by far the best. 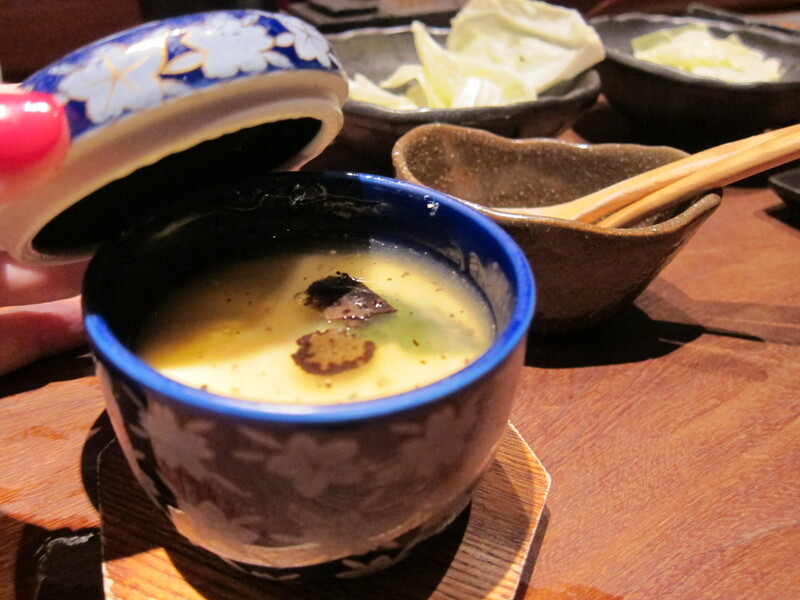 The Japanese obsession with detail elevates even the simplest of dishes and yaktori is no exception. 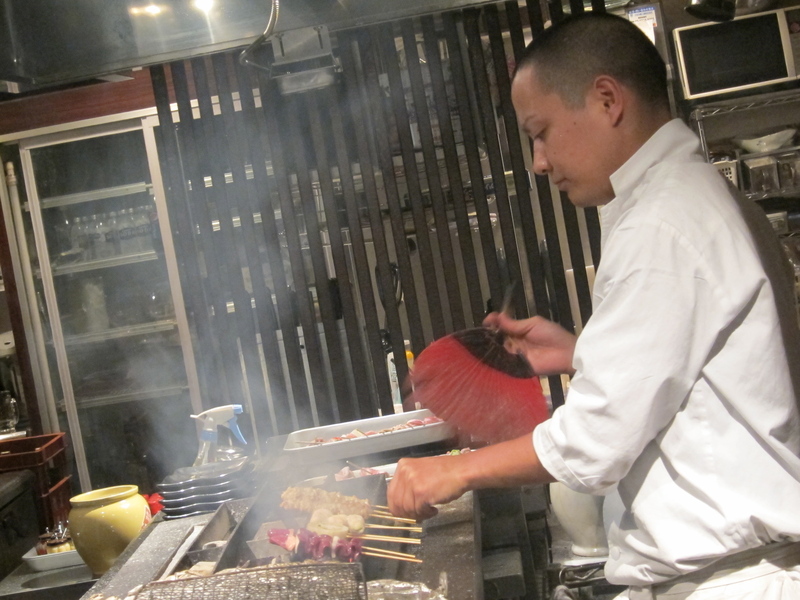 As such, whenever I am in Tokyo I am perpetually on the hunt for a new yakitori place to try. 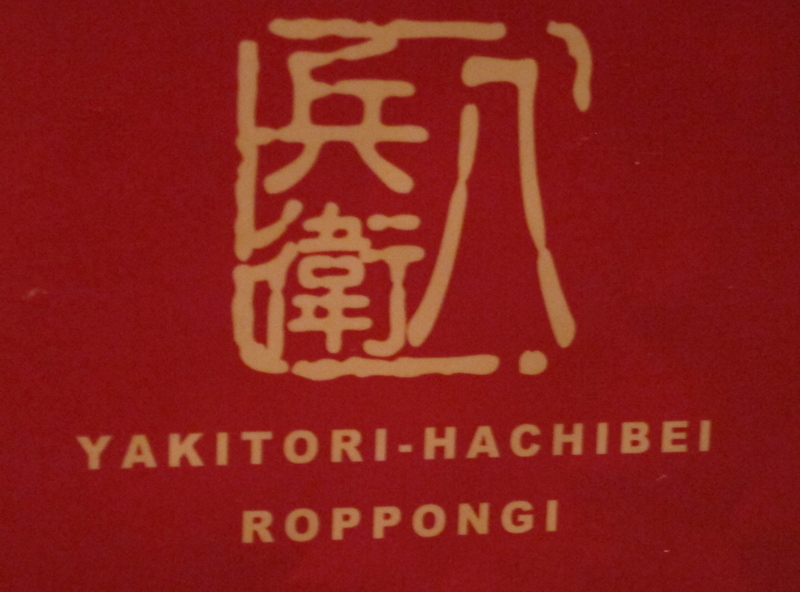 And on a recent trip to Tokyo I was floored by a visit to Yakitori Hachibei in Roppongi. 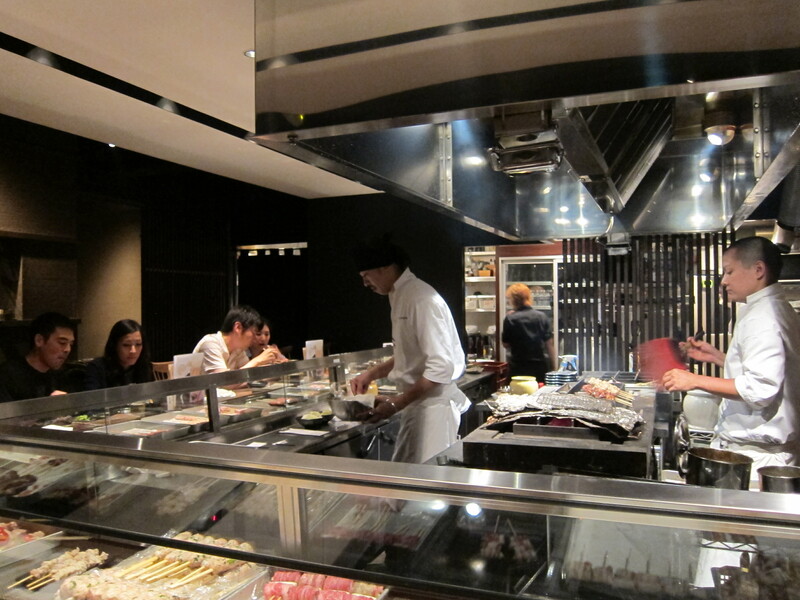 Not far from Tokyo Midtown shopping mall is Yakitori Hachibei restaurant. This is no ordinary happy hour style yakitori joint. It’s a casually elegant resto in that unmistakeable Japanese way of decorating where rustic elements are blended with modern elements to arrive at an ambiance that is at once refined yet unpretentious – an atmosphere that belies the ethos of the food as well. My friend Mariana has brought me here tonight and wants to make sure we try all the house specialties. The meal starts with a serving of cabbage with vinegar to every diner. I don’t know how the Japanese always manage to make something so simple seem so elevated…it’s a perfect start to the meal and whets my appetite for the savory yakitori I am impatient to try. We move on to a classic chicken and leek yakitori as well as a shitake yakitori, both grilled to perfection. 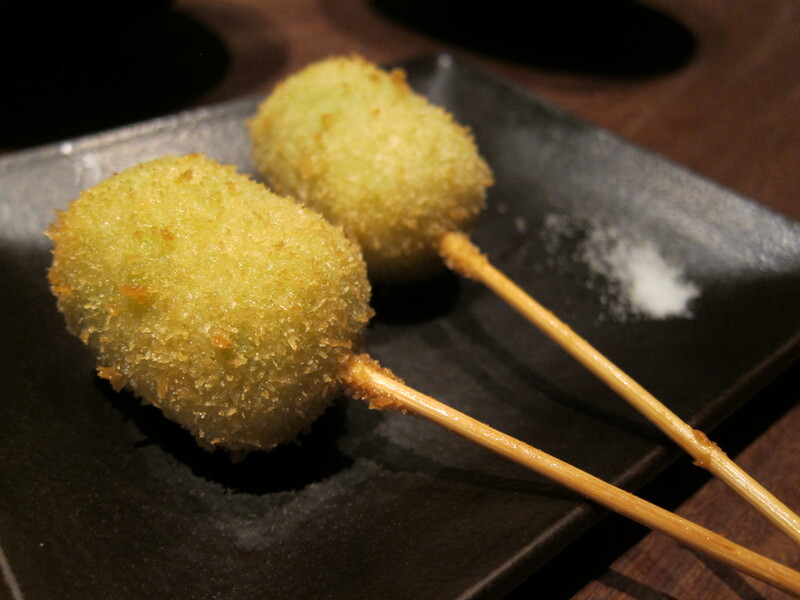 Next up is edamame croquettes, an amazing combination of mushy, creamy edamame beans with a crispy golden exterior, followed by an egg custard elevate by the inclusion of truffle, tomato, basil and tangy camembert cheese. 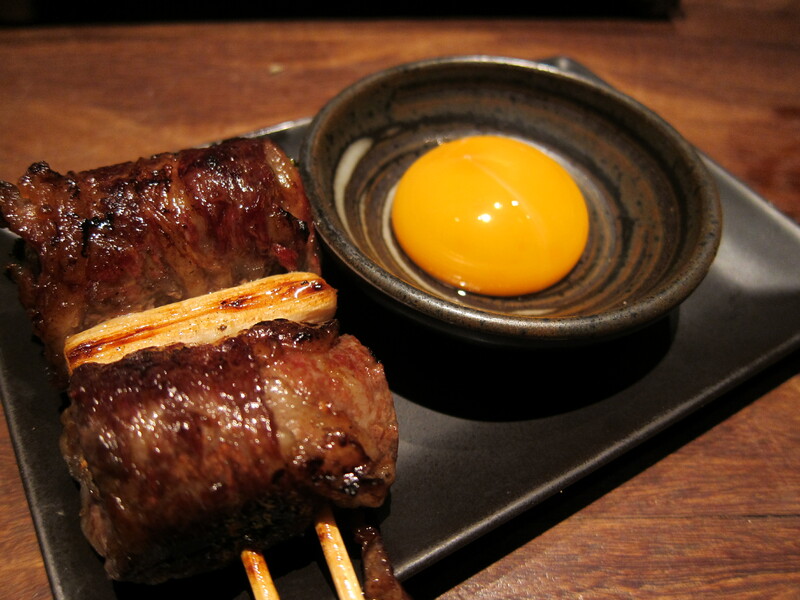 We wrap up with a yakitori of cherry tomatoes wrapped in bacon and sukiyaki with raw egg yolk. Another perfect meal in Japan!